As a guest at Quest Bondi Junction, you will experience reliable, professional and genuine friendly service. The property is ideally located just four kilometres from the famous Bondi Beach and within walking distance to Westfield shopping centre, Centennial Park and provides easy access to Sydney's central business district only five kilometres away. 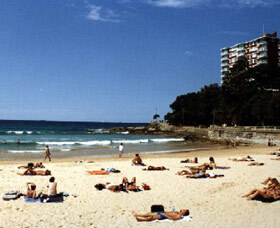 Oaks Apartment at Dee Why Beach - conveniently located on Sydney's spectacular Northern Beaches. 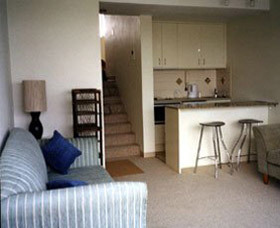 This comfortable and spacious self-contained apartment offers guests a complete holiday accommodation package just a stone's throw away from the stunning Dee Why Beach. 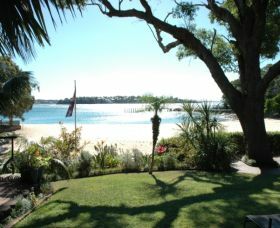 Newport Beach House is a bed and breakfast property offering great views of Newport Beach. The house sleeps up to seven guests in four rooms and comes with satellite television and all the modern conveniences you would come to expect. 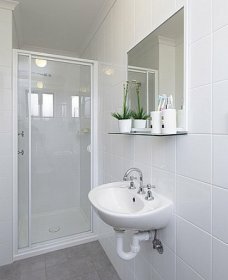 There is a spill-over double room for larger groups with en suite. 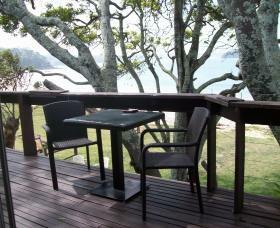 Continental breakfast provided on the deck with a view to New Zealand. 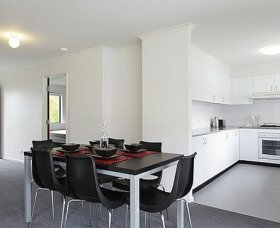 Macquarie University Village offers groups and independent travellers a unique concept in affordable summer accommodation. Usually home to students, the modern, fully furnished one and five bedroom apartments are available to short stay guests between mid November and mid February. 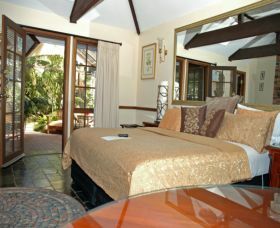 The Engadine Motor Inn has 25 rooms with various sizes and configurations to suit most needs. The Comfort Inn Hunts Liverpool is 3.5 Stars AAA rated and is a member of the Choice Hotels Group. Centrally located at the intersection of Camden Valley Way and the Hume Highway, a short distance from the M5 and M7 motorways, this unique location is a gateway to Sydney and Greater NSW. 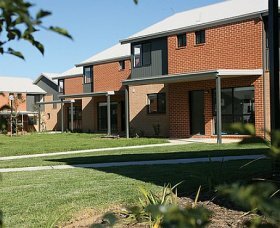 The motel is on the fringe of the Greater Liverpool Area, 50 kilometres from Sydney CBD and Kingsford Smith Airport (40 and 30 minutes respectively) as well as Parramatta (30 minutes) and the Blue Mountains. Travelling along the Hume Highway, the scenic South Coast and Southern Highlands are only a short distance. 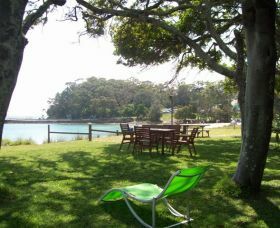 Brightside is an award-winning, private, quiet, two-bedroom property, on Hordens Beach, close to the ferry wharf, shops and clubs. 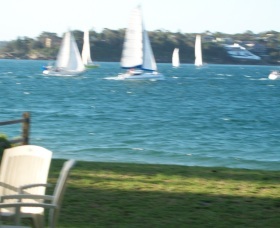 It is only a 20 minute boat trip to Cronulla, where you can connect with a train to or from Sydney. Beachfront Narrabeen is a fabulous apartment on the beach at Ocean Street Narrabeen. The apartment has parks either side of the block, with great views. You can walk to cafes, lake, shops, transport, Sands Hotel. 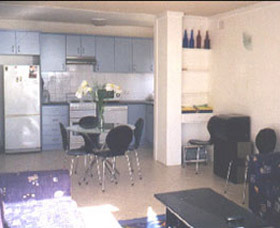 The apartment has fully ducted air-conditioning and is beautifully renovated with the highest quality in mind. You will just love this place.